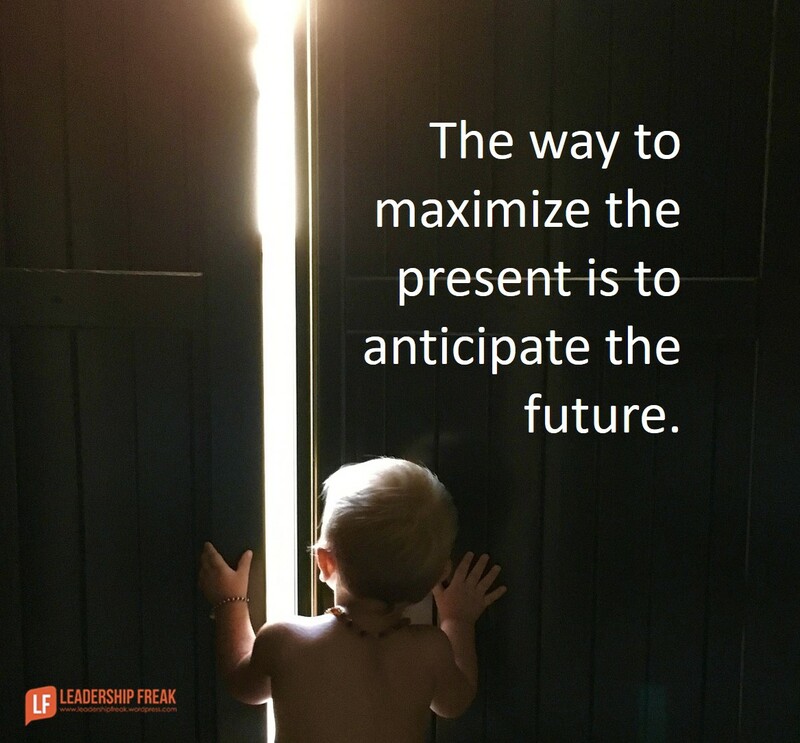 The way to maximize the present is to anticipate the future. Don’t simply meet today’s challenges. Anticipate tomorrow’s opportunity. This is especially true when developing and challenging team members. It’s also true when serving customers. But how? Listen to the aspirations and plans of internal team members and external customers. Your hopes for others aren’t as important as their hopes for themselves. Opportunities for leadership emerge when you understand another’s aspirations and anticipate their opportunities. Your leadership has greater value when you’re helping someone get where they want to go. It’s surprisingly easy to learn another’s aspirations. People enjoy talking about their dreams if they trust you. You can’t anticipate in a vacuum. Get to know people. Spend time listening. We must know people in order to understand aspirations and anticipate opportunities. Listening increases efficiency and multiplies influence. Anticipate the future by observing patterns from the past. Nagging fears? Fear invites foresight. Points of satisfaction and fulfillment? Point out patterns you notice. We tend to get lost in the weeds. People may not realize their patterns. When you say, “I notice that you frequently talk about relationships,” you tell people they matter. Others value you, when you anticipate their challenges and opportunities. How might leaders anticipate needs and opportunities? Very Well written Dan. I would appreciate if you could answer my curiosity on leadership. If anticipation is the key than why 99% of start-ups fail. Where do you think is the gap in the leadership ? Thanks Idea. Great question and it takes me beyond this topic. I think start-ups fail because they over-estimate their strengths and underestimate problems and challenges. Our passion for an idea tends to blind us to challenges. What do you think? Agree. Another point I would like to add is that many times the vision of the entrepreneur of starting a company is not transferred to the employees, which adds failure to the company goals. 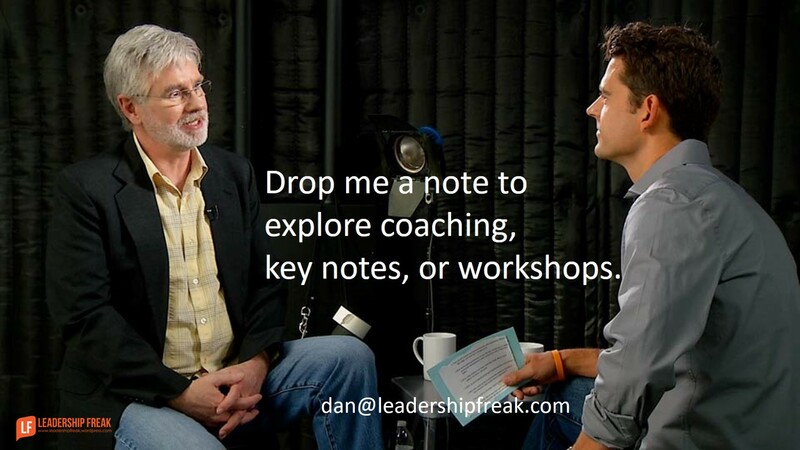 How might leaders anticipate needs and opportunities? “Experience with people and their challenges”, develops over time through learning human behavior, observations, sharing thoughts, learning to communicate with others, reading facial expressions, body language, abnormal and normal behaviors, helps one to understand needs and opportunities for many but not all. Never thing we know what’s in the book until to read cover to cover! Some people don’t know what they want? How they are going to get there? Perhaps they are content with what they are now as human beings the mind is complex to say the least. When people trust you that they sense your compassion and they share their desires is fulfilling in itself, helping them reach the pinnacle of their desires is the icing on the cake. Thanks Tim. Brilliant! First of all, your focus on people and relationships is at the heart of successful leadership. You can manage people, but you lead people. The other thing that speaks to me is those times when people don’t even know what they want. I’ve found this to be true more frequently than you might expect. It takes interest and forward-facing compassion to succeed in these situations. People often don’t see the bigger role they could play. I like to plant seeds (…have you ever thought about leading the marketing function?) to get them to consider new roles and responsibilities. Thanks Paul. Love it. It’s great to see someone’s eyes light up when they see them self in a new way. Thanks ndokouh. If I may, we actually build the future by taking action today. Planning doesn’t change anything, even if it is useful. If we wait until the future is hear, it’s too late to change it. Through awareness, knowledge and understanding. Tongue in cheek comment, having heard similar over the years – a good reliable, unchangeable, crystal ball!